The modifications in the WTF Statutes are not as many as the changes in the Competition Rules which we will inform in a separate report. Articles 20, 22 and 34 of the WTF Statutes will be modified. This article talks about the calendar of events. 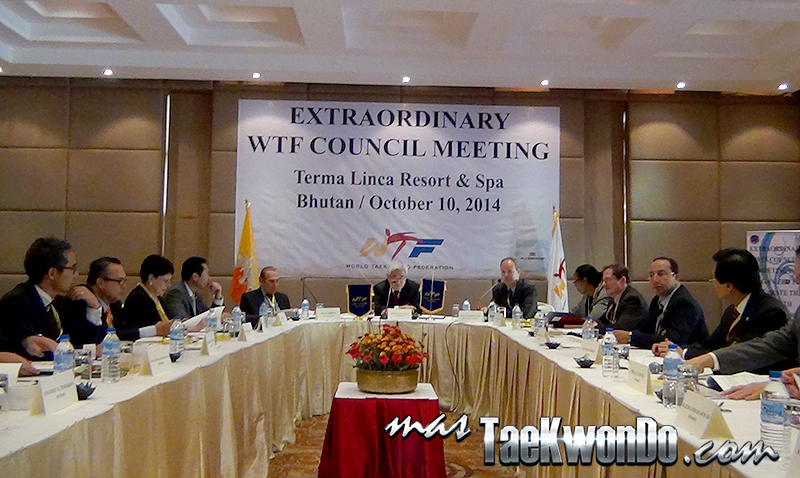 Presently, the article says that each continental championships or other tournaments or events are subject of the WTF approval. And once the event is finished the organizing committee must send a complete report within the following month. This article talks about the WTF Promoted Championships and refers to those events carried out within the organization of another championship, e.g. organizing the World Para-Taekwondo during the World Championship or World Youth Taekwondo for the Deaf during the organization of the World Cup Team. This is eliminated, which suggests that these events could be organized independently during different dates. The same article makes reference to the fact that the President and the WTF Council decided the venue and date of the World Team Cup and World Poomsae Championships. This is eliminated and apparently the process to choose venue and dates for those championships would be the same used to choose the World Championships. The modification refers the enforcement of these changes, specifically referring to Article 20. All events already scheduled will not be changed if any of them “were confirmed by the WTF before the calendar or its amendments were adopted”.